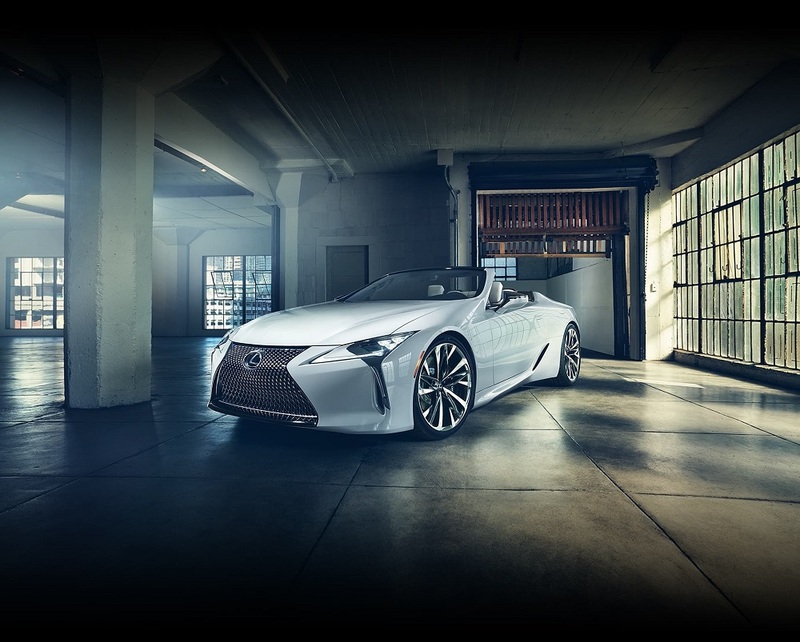 Lexus is unveiling their new Lexus LC Convertible Concept at the 2019 North American International Auto Show in Detroit. 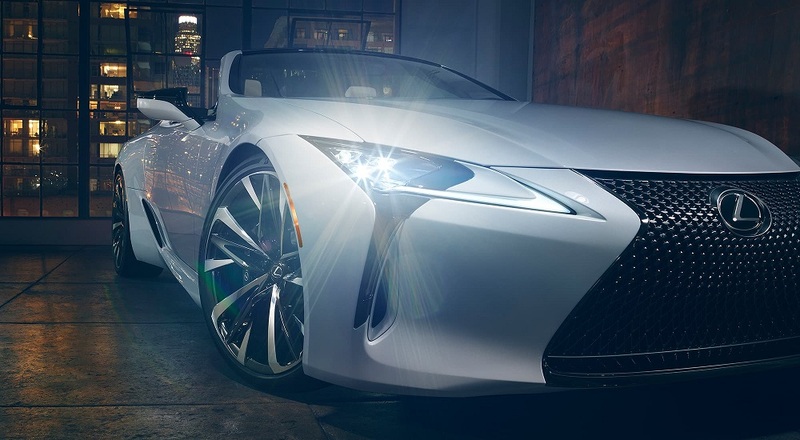 Developed from the highly regarded LC flagship performance coupes introduced to the marketplace in 2018, Lexus says this open-air roadster is an artful reflection of those coupes. 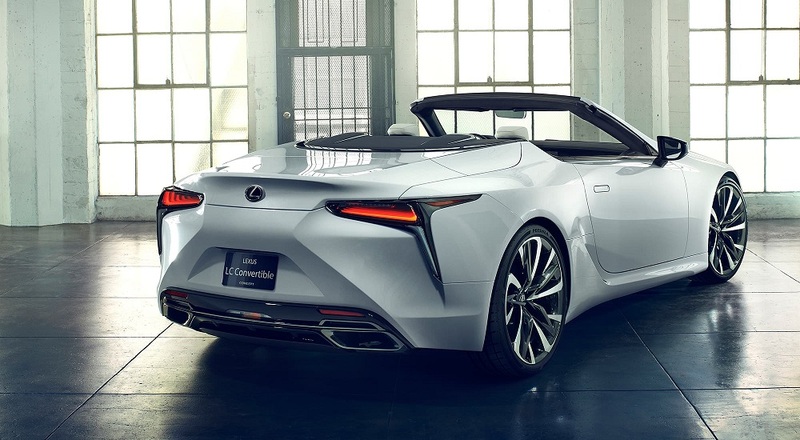 Following our considerable drive time in both the gasoline and hybrid versions of the 2018 Lexus LC 500 performance coupes in 2018, we told you that they were a near perfect production version of the bold Lexus LF-LC concept car first revealed at the 2012 Detroit Auto Show. Lexus had delivered for the driving enthusiast, not one, but two high-performance powertrain versions of the new flagship 2+2 performance coupes – the 2018 Lexus LC 500 V8 and LC 500h Multi-Stage Hybrid. Together they represented a near perfectly refined collaboration of design, craftsmanship and passionate Lexus performance engineering – delivering a stunning look with advanced features and functionality coupled with a drive excitement – the best that Lexus has ever done. Our only question then was – would we get an open-air roadster version at some time in the future. This week, we have our answer and that begs the big question of when? 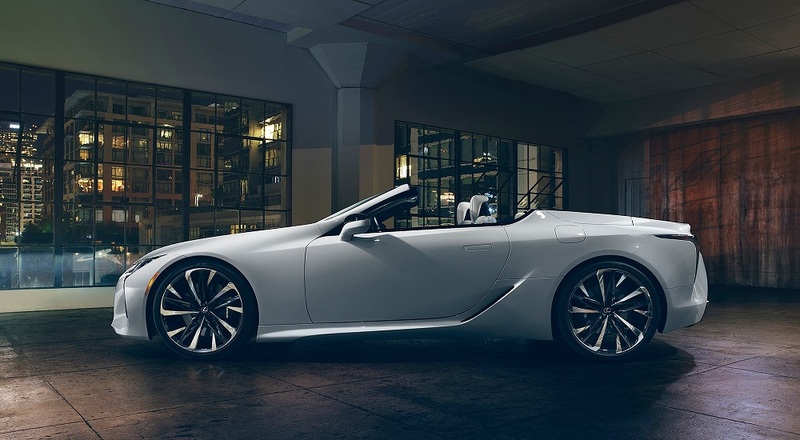 Without hinting a firm decision, Tadao Mori, chief designer of the LC Convertible concept said: “A production version of this concept would be exhilarating in many different ways. You would see its dynamic lines as you approach, hear its engine when you started it up and feel everything around you once on the road. It would engage the senses in a way that is unique and exciting every time you got behind the wheel”. 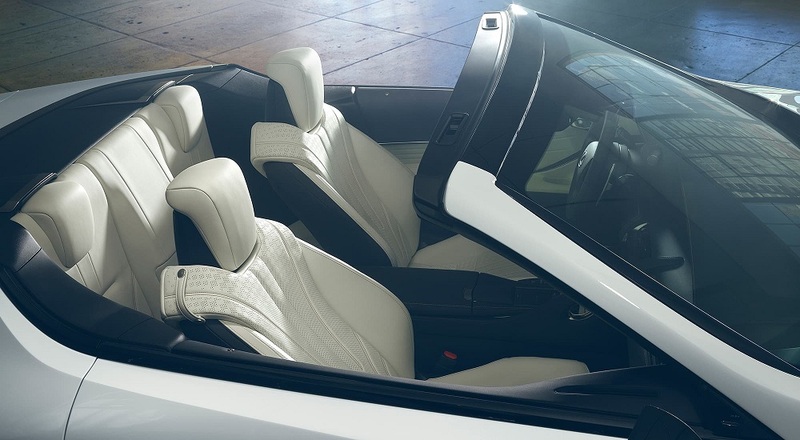 Lexus says the design goal of the Convertible Concept was the expression of “ultimate beauty”. 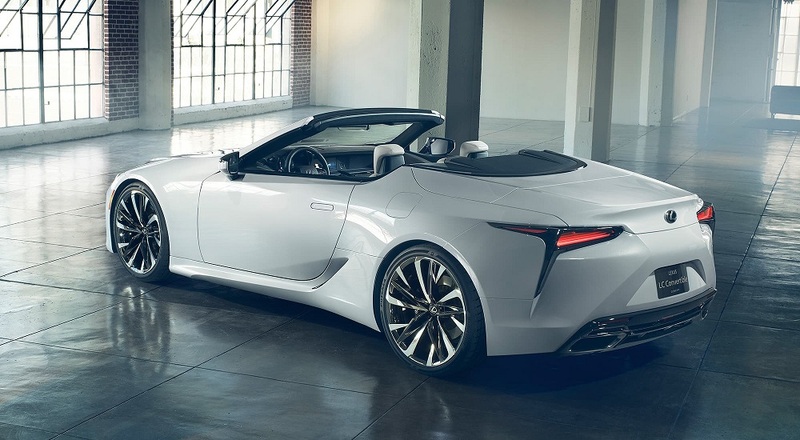 From the rake of the windshield to the smooth contours of the rear decklid that houses the convertible top, every line on the LC Convertible concept was drawn to evoke an emotional response. 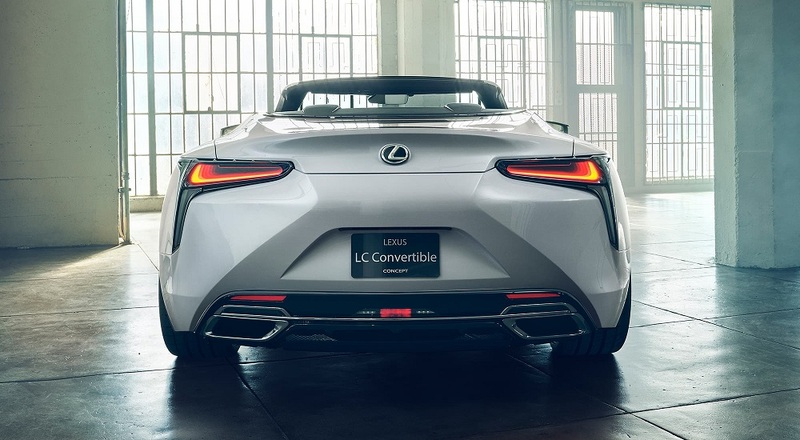 A stunning design from every angle, the LC Convertible concept stands as an aspirational halo vehicle for the entire Lexus lineup. There will be more to this story as – our view – the LC Convertible will be produced. The team at inwheeltime.com will keep you informed /or/ you can follow here: https://www.lexus.com/concept/LC-Convertible/. Our ride and drive evaluation of the 2018 Lexus LC 500 Performance Coupe can be found at: https://www.inwheeltime.com/lexus-delivers-flagship-performance-in-the-2018-lc-500/.